Once an active military post, historic Fort Harrison is now home to a state park, a world-class golf course and some of the most beautiful and unique Indianapolis real estate you’ll find! Fort Benjamin Harrison was established in 1904 and named for the 23rd United States president and Indiana native, Benjamin Harrison. During World War I, the fort became a mobilization center for national defense and a training center for 10,000 railroad specialists. Between the World War I and II, the fort served as a Civilian Conservation Corps center for reforestation and soil conservation work. At the onset of World War II, the fort became a Midwest induction and logistical support center. In 1944, Italian and German prisoners of war from Rommels Afrika Korps arrived for detention at Fort Benjamin Harrison. The Midwest Disciplinary Barracks ultimately housed 6,200 prisoners. Although it's no longer an active duty military post, Fort Harrison continues to serve as the location for Defense Finance and Accounting Services, which manages payroll and services for the men and women serving in our nation’s armed forces. It is also the site of a beautiful state park with miles of public hiking trails, stables, boating and fishing ponds, and picnic areas. 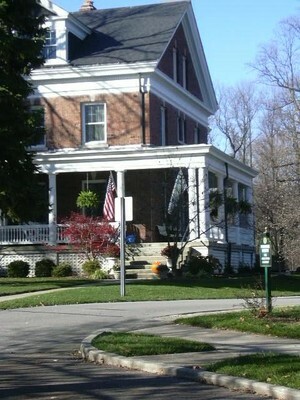 Fort Harrison real estate is like nothing else in the Indianapolis area. Many of the charming residences, home to military families for more than 90 years, are listed on the National Register of Historic Places. Wide wrap-around porches, elegant moldings, exposed brick walls, built-in bookcases and cabinets, and a fireplace in every room are just some of the historic features of Fort Harrison homes. Most of these properties have been recently restored to include all the modern amenities buyers want without compromising the vintage beauty of the homes. What is your Indy home worth?